To the east of the Golden Rectangle in Carmel-by-the-Sea lies the vibrant neighborhood of Southeast Carmel. The boundaries of Southeast Carmel are Ocean Avenue to the North, Dolores Street to the West, Santa Lucia to the South and Mission Trail Park to the East. Homes in this high profile area enjoy walking distance proximity to the best Carmel-by-the-Sea has to offer. Beautifully appointed homes many with open beamed ceilings, stone fireplaces and storybook gardens, nestle on oak lined streets in this quintessential Carmel by the Sea neighborhood. Click here to preview all homes for sale in Southeast Carmel. In 2018, 22 homes sold in this neighborhood. The most expensive home that sold, sold for 5 million for a 4 bedroom, 3.5 bathroom, private gated estate with 3,949 SqFt of living space on .7 acres. The least expensive home sold for 1.055 million for a 2 bedroom, 2 bathroom cottage with 1,314 SqFt of living space on a 5,000 SqFt lot located just a short stroll to town. In 2017, 19 homes sold in this neighborhood. The most expensive home sold for 2.9 million, this classic, Carmel home has 3,066 SqFt of living space on a 10,000 SqFt lot and includes a separate studio. The least expensive home sold for 870K for a 2 bedroom, 1.5 bathroom, historic mid-century home with 1,086 SqFt of living space on a 5,365 SqFt, corner lot. 29 homes in this neighborhood closed escrow in 2016. The most expensive home sold for 4.6 million and was a high-end designed, new construction home with 3 bedrooms, 3.5 bathrooms, 3,166 SqFt of living space on a 450o SqFt lot. 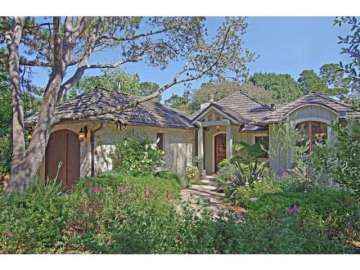 The least expensive home sold 721K for a fixer 1 bedroom, 1 bathroom, Carmel Cottage with 689 SqFt on a 5,580 SqFt lot. In 2015 28 homes sold in this neighborhood. The most expensive home sold for 3 million and was a 3 bedroom, 2.5 bathroom with 2,468 SqFt brand new construction home on a 5,663 SqFt lot. the least expensive home sold for 850K for a 2 bedroom, 1.5 bathroom, 1,030 SqFt home on a 4,792 Sqft lot. 20 homes sold in this neighborhood in 2014. The most expensive home sold for 2.8 million and was a 3 bedroom, 3 bathroom, 2,500 SqFt home with ocean views, on a 7,800 SqFt lot. The least expensive home sold for 800K and was a 2 bedroom, 1 bathroom 711 SqFt cottage situated on 4,000 SqFt of land. In 2013, 31 homes closed escrow in this neighborhood. The most expensive home sold in the neighborhood was a 2,800 SqFt home situated on a 12,600 SqFt private estate, which sold for 4.85 million. The least expensive home sold in 2013 was a cottage on 4,000 SqFt of land which sold for 525K. There were 21 homes that sold in this neighborhood in 2012. The most expensive home sold for 2.15 million and was a 3,018 SqFt, 4 bedroom, 2 bathroom home on a double lot of 8,000 SqFt. The least expensive home sold in Southeast Carmel in 2012 sold for 518K and was a 1,680 SqFt, 3 bedroom, 2 bathroom home situated on a 4,872 SqFt lot. For a detailed analysis of Carmel real estate, check out our monthly Community Market Reports.To live in Southeast Carmel is to live with the finest in dining, entertainment and shopping literally in your backyard. Walk down popular Ocean Avenue and delight your senses with incredible art galleries, fun fashion, tantalizing restaurants and cafes and unique home furnishings. If you are a theatre devotee, Southeast Carmel will provide you with unparalleled creative experiences. Between Mission and San Carlos Street you will find the Sunset Center, the cultural hub of Carmel and home to the Monterey Symphony, Chamber Music Monterey Bay and the Carmel Music Society. Patrons flock year round to experience an impressive and diverse calendar of events, the most beloved including the Carmel Art & Film Festival and the Carmel Bach Festival. The historic Forest Theater, located at the intersection of Mt. View and Santa Rita, also offers a series of live performances and is home to the “Bohemians of Carmel”. An outdoor amphitheater dating back to 1910 it is rich in history and a truly majestic setting to watch art come to life. But not to be forgotten, a short stroll from your Southeast Carmel home, you will find Carmel Beach, a treasure of sugary sand and turquoise water that invites you to play or simply to close your eyes and remember that this is why you call this home.